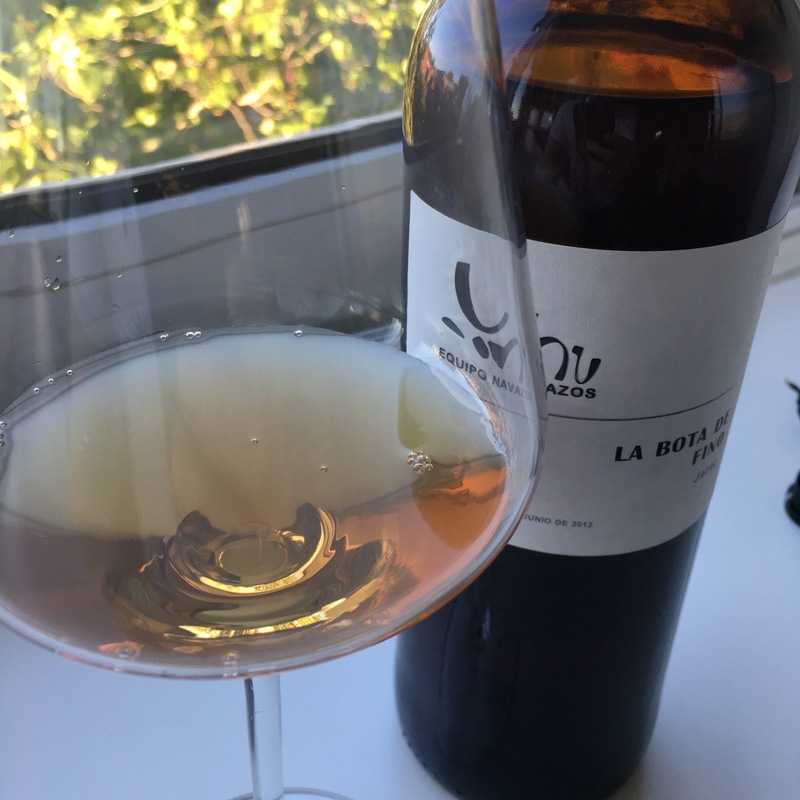 This was one of the first Equipo Navazos magic numbers that I tried back in the day and I had been hanging on to a bottle for nostalgia’s sake, but some recent experiences with bottle aged finos persuaded me to get stuck into it. And I am glad I did. It is a top quality fino. In aromatic and mineral terms right up there. The nose in particular was fantastic after opening, and it was a lovely bottle to have open (if not for very long). But I am also glad I opened it now rather than waitig. There is no doubt that these wines – in particular the finos and manzanillas – evolve with the years and I am far from sure that they improve after the first two or three. Comparisons may be odious but when I compare this to the current, absolutely outstanding release from the same source, I find the new wine to have more pep, more body and more all around pizzazz. The flipside of that is that the wine becomes more elegant, more gentle with years, and the time also seems to result in a change in flavour profile from roasted to slightly burnt, bitter almonds. So a lovely wine opened just in time. How does it evolve once open? Sadly we will never know.